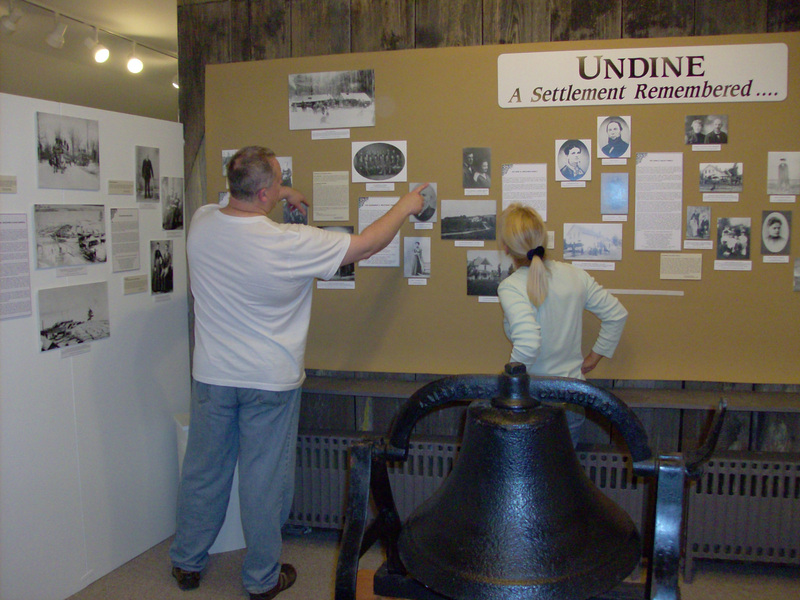 On Friday, June 24, at 7:00 pm, we celebrated the grand opening of Undine: A Settlement Remembered. Actually, we started early – the museum was full at 6:45 pm. 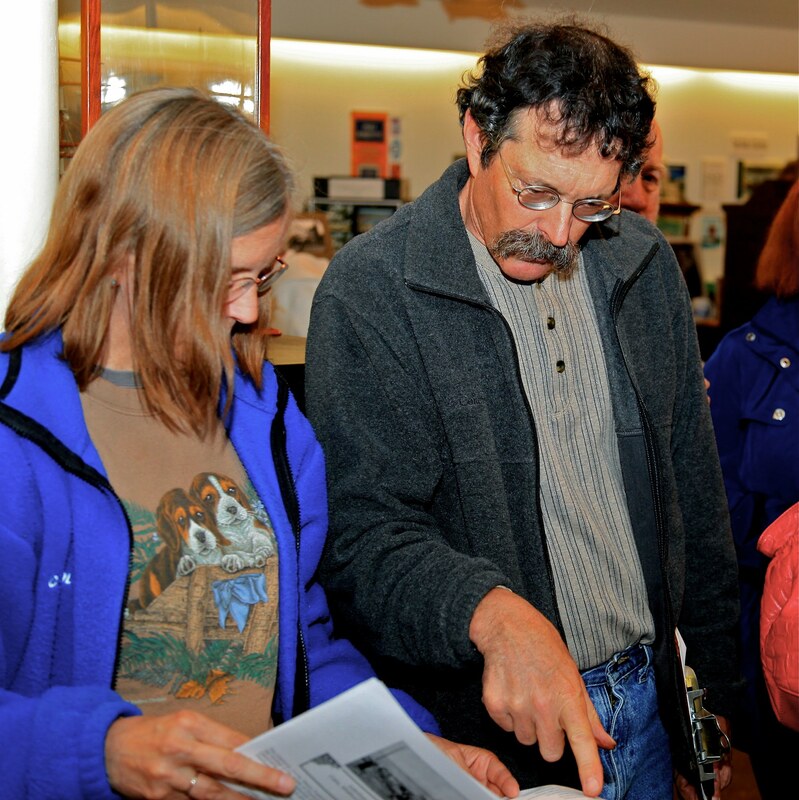 According to David Miles, co-director of the Harsha House Museum, the 140 or so people who attended made up the largest group ever to attend an event there. 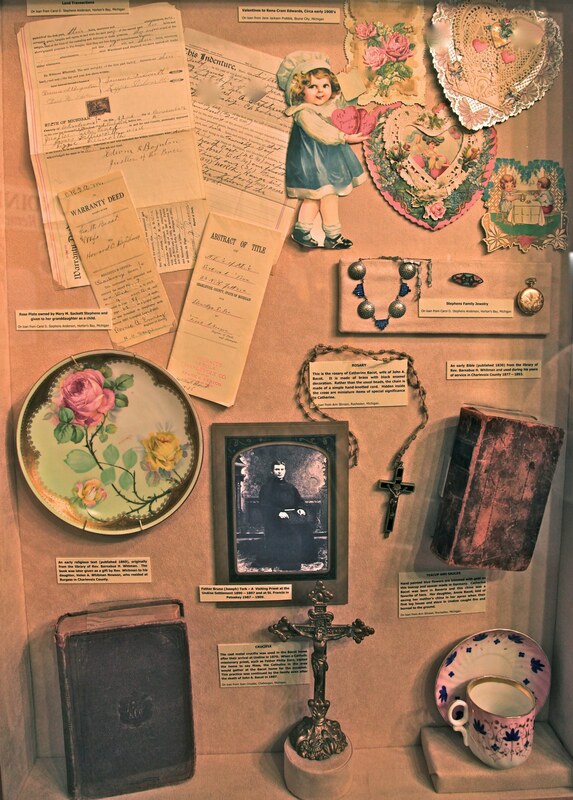 Many of the visitors had never before been in the building, but all were history enthusiasts. We shared stories over wine and light refreshments, admired the exhibit and the beautiful floral arrangements, and congratulated the team on its work to date. 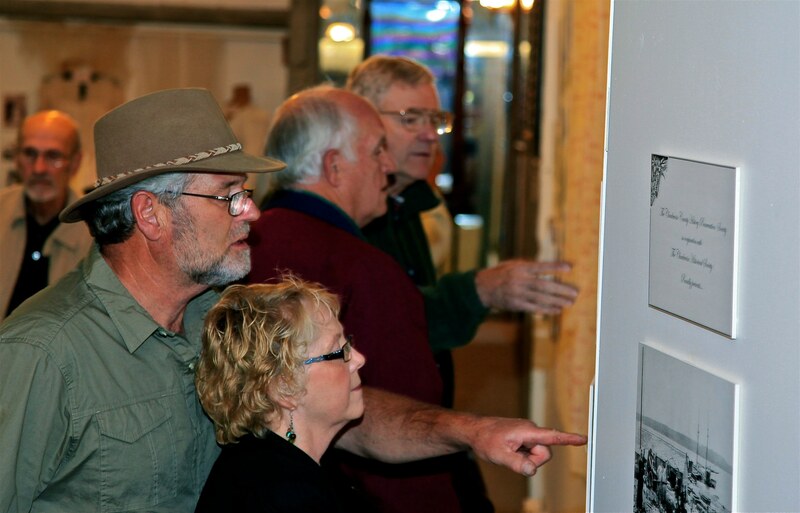 Souvenir postcards featuring photographs from the exhibit were sold. Didn’t get yours? 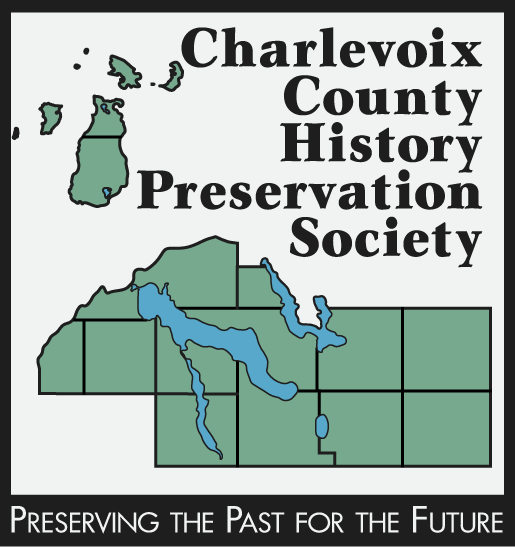 You can still pick them up — at the exhibit, and at any Charlevoix County History Preservation Society event. 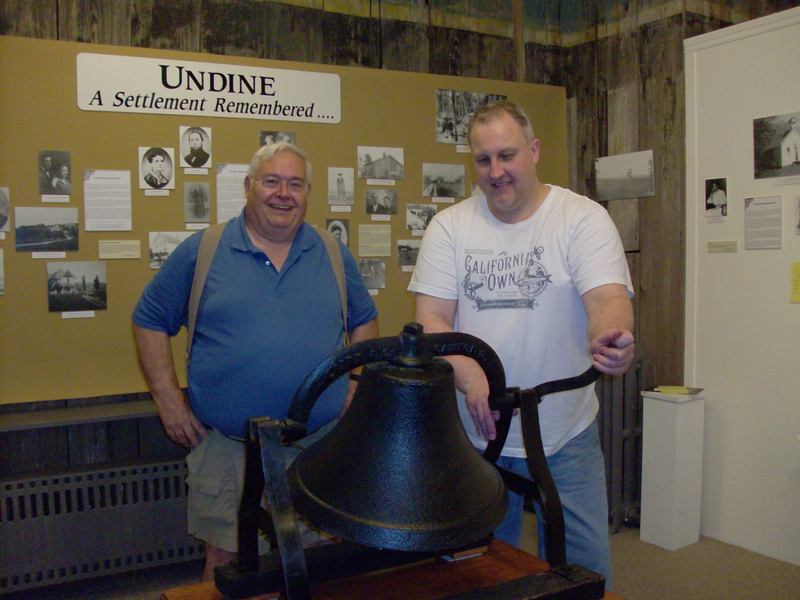 The exhibit is the product of more than four years of research by the Undine team, consisting of Patrick McCleary, Georganna Monk, and Jerry Hummel, all CCHPS board members. 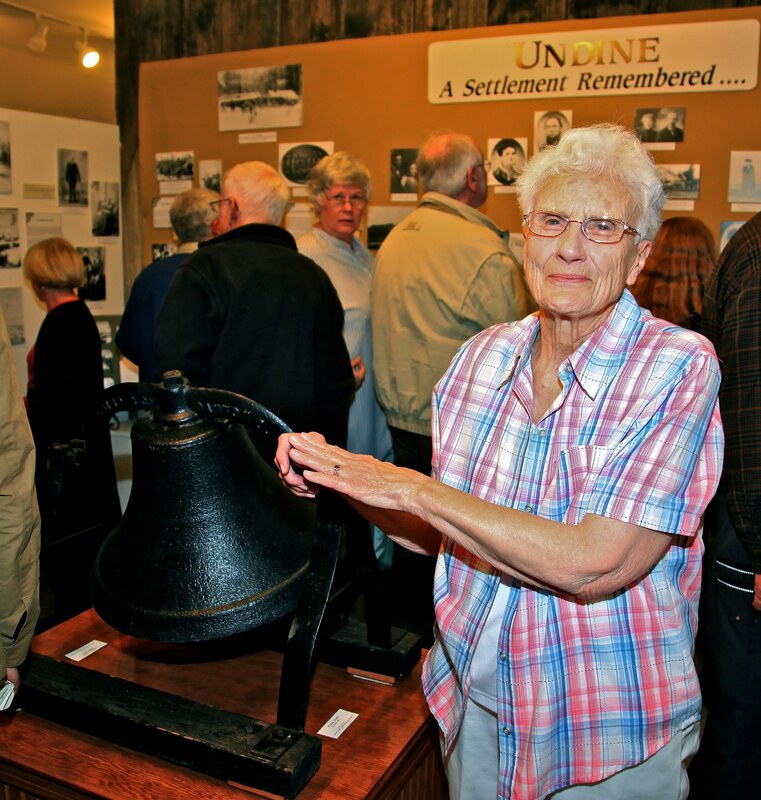 They have devoted more than 1000 hours to the Undine research so far, and have collected public records, maps, documents, letters, biographies, oral histories, and photographs for their comprehensive accounting of this Lake Charlevoix settlement. 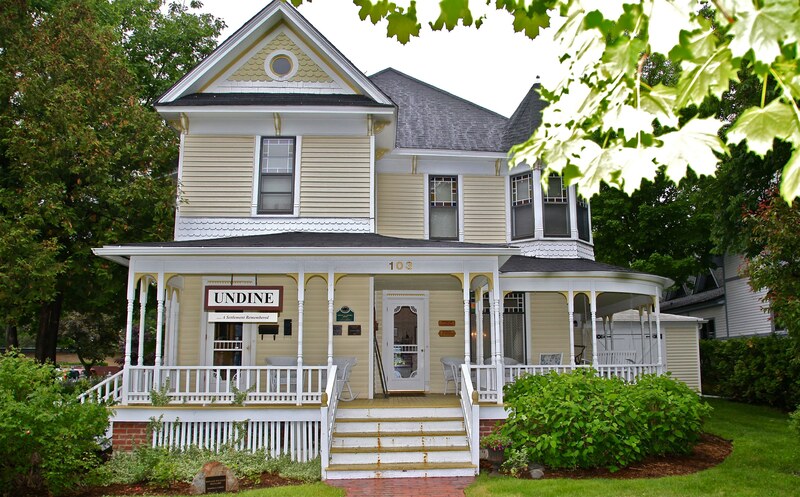 To learn more about Undine, click HERE. 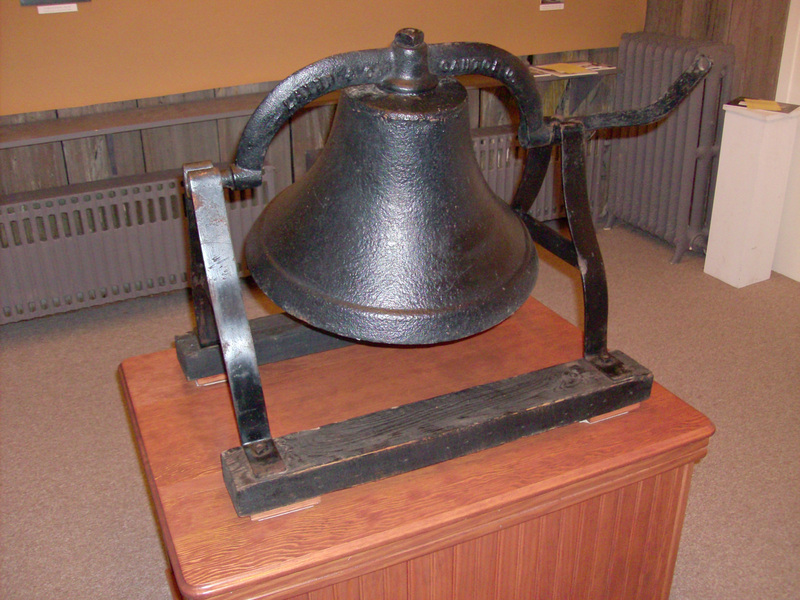 Below are pictures taken during the reception by CCHPS member Rob Maxwell of SwampScotStudio.